Sunset at Battery Point, originally uploaded by The Bacher Family. This is my favorite photo from an amazing sunset over the harbor in Crescent City. 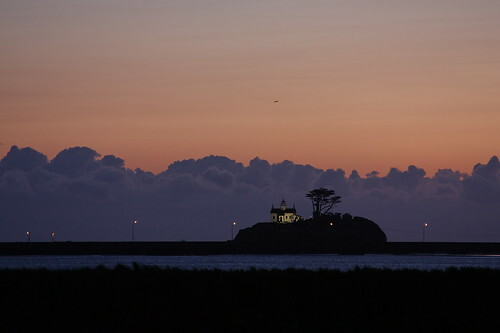 I love the massive purple clouds in the distance, and the orange flow of the sky above them, with the Battery Point lighthouse silhouetted in the foreground.